Pilasters are a type of door and window trim that are used to frame the vertical sides of doors and windows. Most often, they are used on front doors, but they are also used on garage doors and windows for texture and style. Originally created as a subtle alternative to columns, pilasters share the same basic shape as columns, with a plinth block on top of the pilaster section, which can be fluted, smooth, or paneled. The type of pilaster you choose should match your home exterior and personal style, and is sure to increase the value of your home and give it a distinctive look. Style and function Any door or window trim adds style and function to your home. Door and window trim can be a tasteful accent for your home exterior and can also hide any flaws from the door or window installation. Pilasters are a distinctive type of trim that comes in a few main varieties. 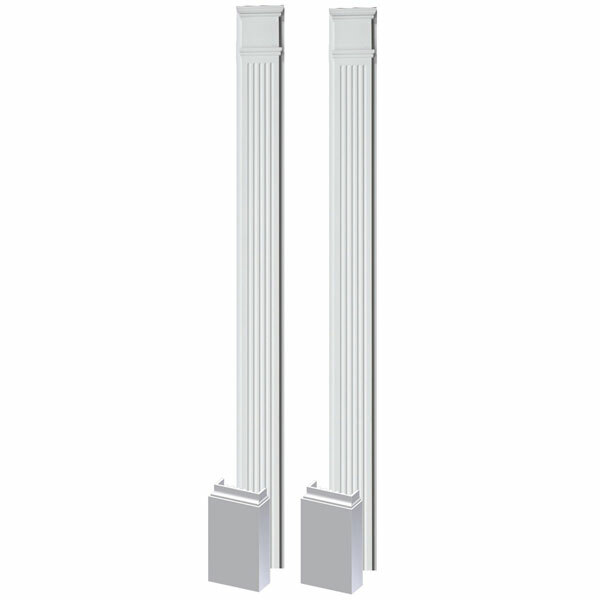 The fluted pilaster is meant to resemble the columns used in Greek and Roman architecture, which were usually fluted. It is still considered the most elegant style for columns and pilasters. New functions, new materials While the look of the fluted pilaster is the same as the Classical fluted columns, the materials have changed.